North Korea is exploring the possibility of introducing fintech services to its population with an initial focus on improved payments and mobile technology. Fintech has been growing rapidly around the world and yet there’s still no appreciable fintech services available in North Korea. North Korea has a poorly developed financial sector and only since recently has it been possible to make financial transactions. But changes in North Korea can take place surprisingly quickly. In recent months, North Korea has hinted desire to use mobile network as a means to provide financial services, modernize its financial services, and ensure the speed, security, stability, convenience, and transparency of financial transactions. Sources told Daily NK that, last year, North Korean authorities ordered the central bank to introduce electronic financial services. Increased usage of smartphones and mobile communication networks in North Korea will be key to fintech development in the country. The report underscores efforts by Pyongyang to develop information technology in parallel with other social, financial, and currency-related progress. Most recently, news broke that North Korea was preparing to host its first ever international blockchain and cryptocurrency conference to take place in the capital city. According to the Strait Times, the event will stretch for two days beginning October 1 and is scheduled to conclude with a meet-and-greet with the business leaders of North Korea. The conference is expected to attract blockchain and cryptocurrency experts from all over the world. 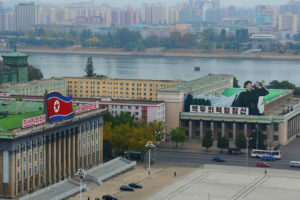 A security expert told Radio Free Asia (RFA) on condition of anonymity that the goal behind hosting the conference was to show off North Korea’s capabilities regarding such technologies. According to a report by Korea Development Bank, a state-run financial institution in South Korea, a small-scale cryptocurrency mining operation was run by the North Korean regime between May and June 2017. The initiative was terminated for unknown reasons. These recent moves give a different view on North Korea’s involvement in cryptocurrency. The country is infamously known for being advanced cryptocurrency hackers. According to South Korean intelligence officials, North Korean state-sponsored hackers stole billions of won in cryptocurrency in 2017 by hacking exchanges. Economic sanctions approved by the UN Security Council in September 2017 curb inbound oil supplies, tighten inspections of cargo ships from North Korea and ban imports from a chief North Korean industry, textiles. Those measures answered North Korea’s suspected H-bomb test and have effectively limited the North Korean government’s access to common foreign currency used in world trade. 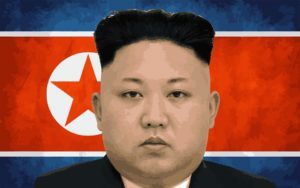 Cryptocurrencies allow North Korea to bypass financial sanctions and provide alternative ways for North Korean officials to finance the regime of the ruling family.